As I'm sure you all have noticed, my latest reviews have been focused on lip centered products so I ask forgiveness from my readers since in the past couple of months I've been splurging on lip care or lip beauty products! One of my besties even gave me two lovely Revlon lip glosses for Christmas, and my sister got me Maybelline lipstick too. I'm almost running out of room in my designated lipstick drawer! 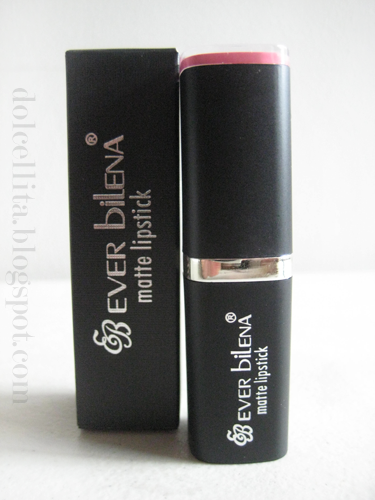 So as you probably already guessed, I'm here to do yet another lip product review and it's from Ever Bilena's Matte Lipstick line. 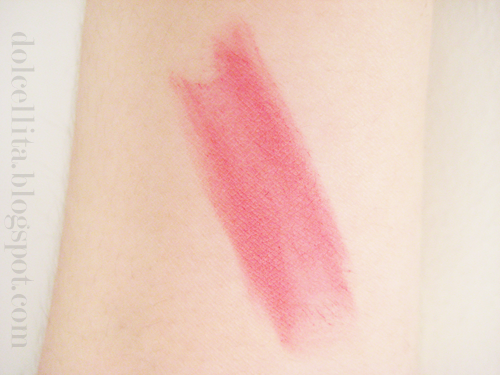 I snagged this the other week from my local Watsons as I was looking for an affordable lipstick I could sport everyday for school that also needed only minimum retouching. Pure impact. Pure luxury. Ultra Matte Finish! 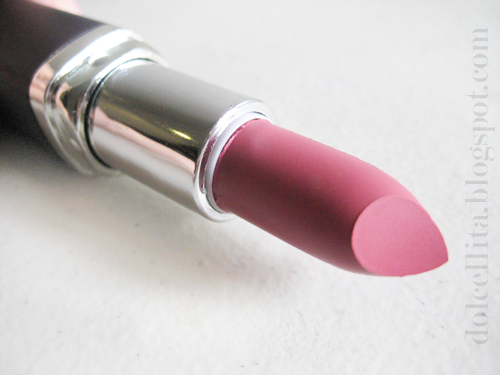 The only Matte lipstick that makes your lips stays supple and smooth. 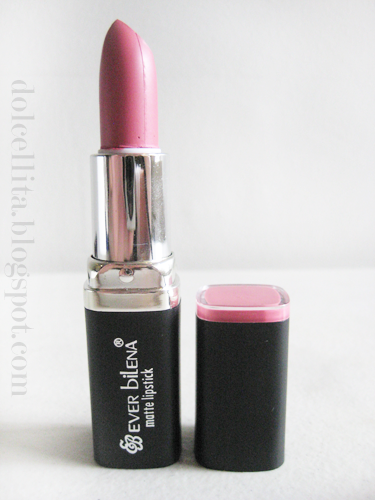 Delicately scented in al long-wearing formula that accentuates and pampers your lips. 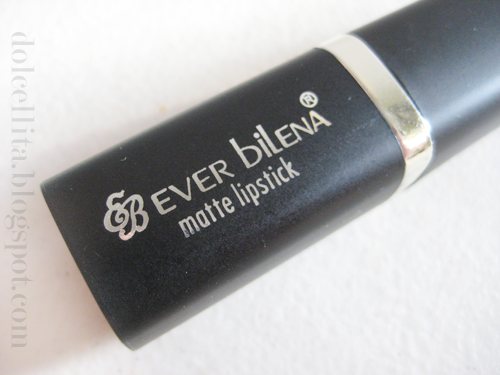 Incredibly luxurious with Vitamin E that gives your lips the natural moisture. 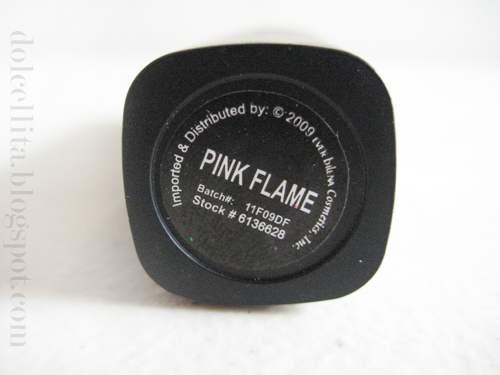 The shade I got was Pink Flame which is a nice subtle sort of pink that you can use either in the office or for school and has got that pop of color that still isn't too eye-catching and would compliment either neutral or pink variations of eyeshadows. The only thing I'm not loving too much is the cheap packaging! 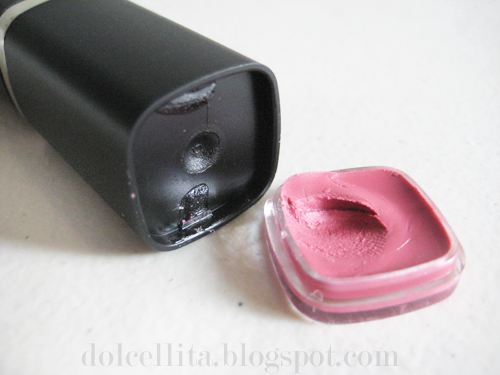 One end of the the tube, which is supposed to show you what shade the lipstick is, looks very messy and is actually a little scuffed and scratched despite it being brand new, of course. The printed label on the other end is also done poorly and is the kind that'll basically scratch or rub off sooner rather than later. Then there's this, which is something I can't quite properly explain until now. A week ago I noticed that one end of the tube was a little loose (poorly glued on, what a surprise), so experimentally, I pulled at it and it came right off and I find there's additional lipstick formula in it? I even pressed on it firmly with my finger just to make sure and well, that happened! I have zero idea why they did this and what purpose it serves. Is this in case you run out of the original lipstick and so you reach for a lip brush and apply this instead? Someone let me know, please! Anyway, I thankfully managed to pop it back in and it's stayed put so far. I also smoothed out the little 'accident' I made and it's not visible from the other side of the clear plastic. Under natural light, the color definitely looks deeper and more intense, I think. It actually looks almost like a reddish-pink. On my lips it really does come off as a nice, almost natural looking pink. It's a perfect day time shade too. 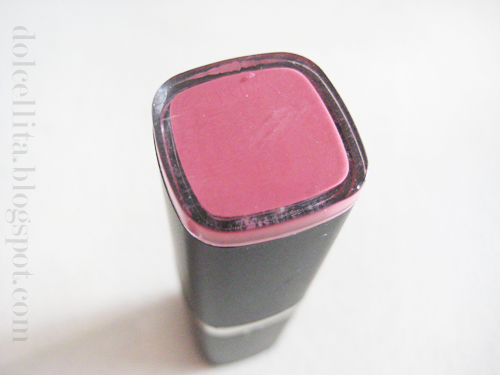 It really does have a matte finish, but you can always top it off with a clear or pink gloss if you want. I find that added gloss however tends to make lipstick less long-lasting because when the gloss starts to go it pulls the color along with it, so I like to keep it as it is, unless of course my lips are particularly dry that day. As long as you use a good, moisturizing lip balm or primer prior, this won't dry out your lips or dry them out further even if you have naturally dry lips like me. It'll help prevent it from feathering also! Oh, I shouldn't forget about this, but a belated happy new year to all my subscribers/readers! Last year was very rough on my family and I, especially with the loss of my mom, but here's to hoping for a super great 2013 to come for all of us filled with blessings and triumphs! I love the shade of Pink Flame, too. This is such a nice shade of pink! The packaging is so weird noh, may lipstick pa sa baba na part. My Scarlet one came off and had that too! I agree!! I have this shade as well and I'm loving it except for the packaging., I did a review about the ever bilena's "hot summer". 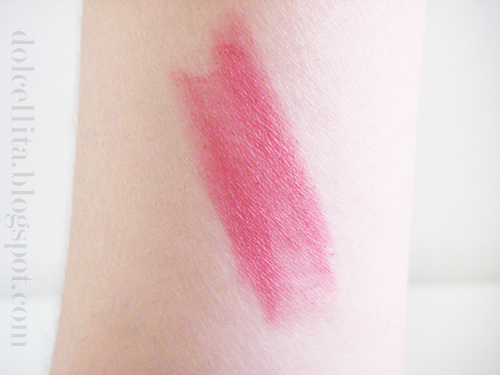 It is one of their newest shades. Thanks for letting me know! :) It's just so difficult awkward to pop open that I didn't think it was supposed to be used also. how much kya ang matte lipstick? I bought this for PHP145.00. I think that's the price for all their matte lipsticks.